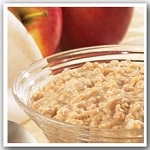 Enjoy a bowl of our specially formulated profast oatmeal to keep you losing weight. 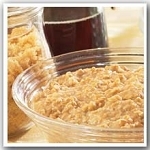 Metabolic Medical Center's special selection of low calorie, high fiber oatmeal keeps you warm and feeling full. We offer Apple Cinnamon or Maple Brown Sugar, but why choose one when you can have both. They provide you with the proper combination of calories, protein, carbohydrates and fats to make your weight loss fast and easy. Tasty and nutritious profast oatmeal from the leader in weight loss success delivered right to your home.